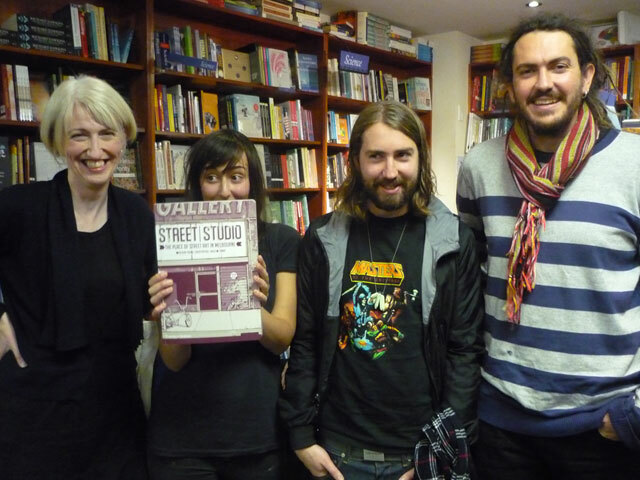 Readings bookstore in Carlton was kind enough to host a panel discussion and Q&A to showcase our book Street/Studio recently. On the panel, there was Miso, Ghostpatrol and Tom Sevil, with me acting as a kind of discussion-facilitator and moderator for the discussion. We started off with the artists saying a few words about how they came to Melbourne, and how they came to do artwork for the street in particular. 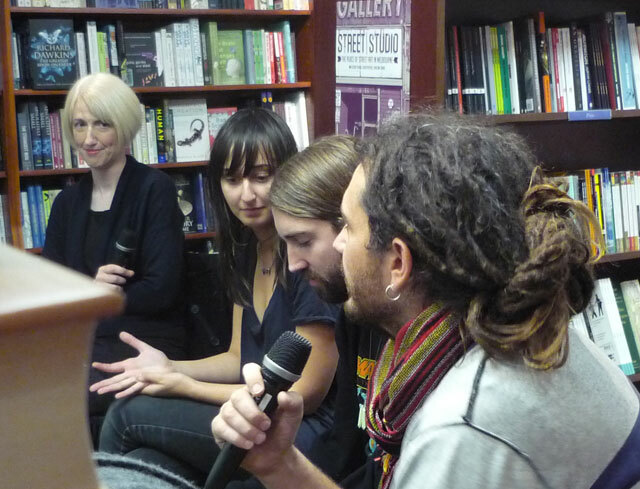 Each one them spoke about the good and the bad things in the street art scene, and about what makes Melbourne such an amazing place for street art. We then took questions from the audience, and a fantastic discussion ensued, with people making commenst about how much street art means to them in their neighbourhood, about buffing, about council policy and State government policy, about Melbourne as it compares with other cities, and about how street art has become part of the very essence of Melbourne. It was a really enjoyable event for all of us, and I hope that everyone who came along enjoyed it too. 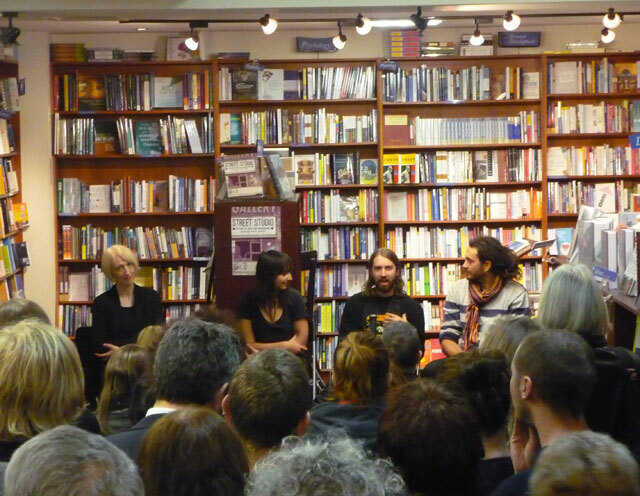 Some pictures, taken by Andrew McDonald from Readings….